What a beautiful bottle. Congrats to team and we cannot wait to see it in bars over here in Europe. Lovely bottle and text lockup. The material and shape strongly reminds me of Calvin Klein’s CK Be cologne. 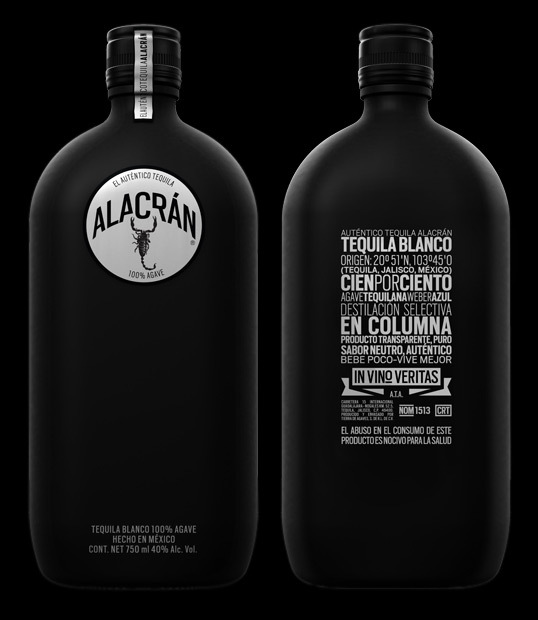 Me gusta la tipografía y que todo sea a dos colores pero es tequila o perfume? This is a great design! 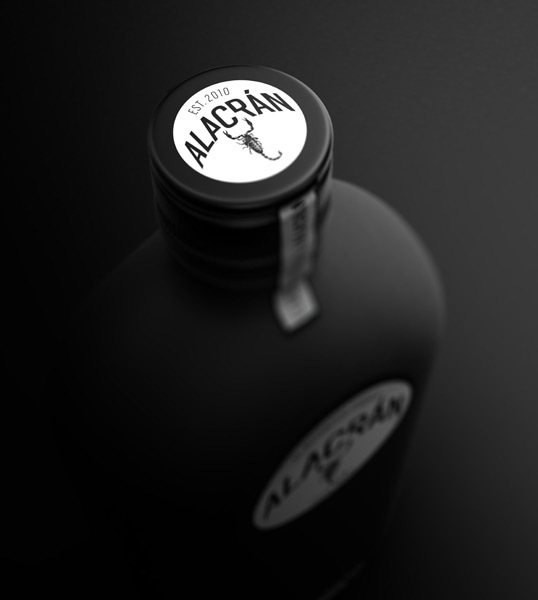 It’s refreshing to see a bottle with a black matte finish instead of the typical glossy look. I’m really diggin the typography as well. Nice work! that one bites. heh. nice work. muy bien. Supongo q se inspiraron en la botella de la locion CK One, la forma y la textura es exactamente la misma. No crean q es una critica, al contrario se me hace algo extraordinario q se arriesguen e innoven en la industria. WOW! REALLY SMOOTH GOOD STUFF AND i LOVE THE BLACK SHOT GLASSES!! I WILL BE KEEPING THE BOTTLE FOR SURE!! great design, complete different of what you usually see.